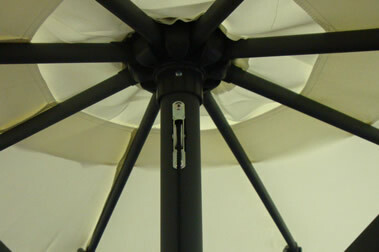 Aluminium Sturdi Plus parasols are available in three shapes - Square, Round and Rectangular. 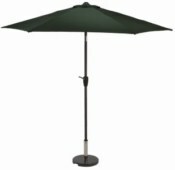 Each parasols is available in five colours Green, Blue, Natural, Black and Taupe. The parasols have removable covers to allow for machine washing 40°C. 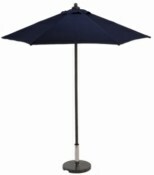 Aluminium parasol graphite frame, 230gram polyester, Tilting Mechanism, 38mm pole. Aluminium parasol graphite frame, 230gram polyester, 38mm pole. Aluminium crank system on selected products. All of our parasols are suplied with decorative finials that can be unscrewed allowing for the cover to be machine washed. Take a look at our parasol stand, specifically designed to show off our range of parasols and their carry bags.